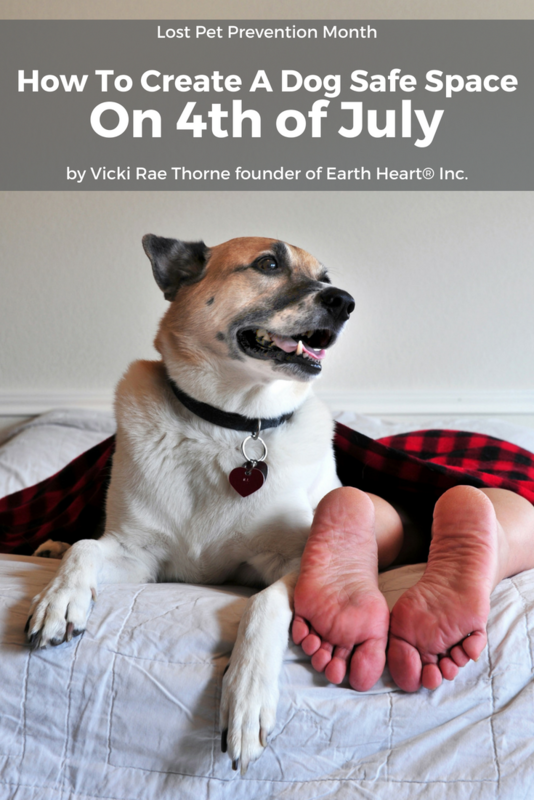 by Vicki Rae Thorne, certified aromatherapist & herbalist, founder of Earth Heart® Inc.
More dogs run away on July 4th than any other day of the year. Keep your dog on a leash when in or out of the home to prevent bolting from unexpected noises or flashes of light. Keep your dog in a crate or small room during festivities. Make sure favorite toys and foods are available. Swaddle with an anxiety wrap if needed. Be sure your dog is wearing a visible up-to-date ID tag on the collar. Carry a current photo of your dog with you. Take a long walk, play hard and make sure your dog’s bladder and bowels are empty before festivities begin. Play soft gentle music in the room where your dog is staying. Close doors, windows, and shades to dampen loud noise and bright lights. Spray the room or crate pillow as needed with a calming mist (such as Canine Calm® from Earth Heart® Inc.). Scolding only confuses the dog and reinforces fearful behavior. Best wishes for a calm and safe 4th of July from Earth Heart® Inc. It was love at first smell when Vicki attended a weekend intensive on essential oils in 1992. She’d been diagnosed with fibromyalgia after a whiplash injury 4 years earlier, and was inspired to start making massage oils and bath salts to address her constant pain and stress. 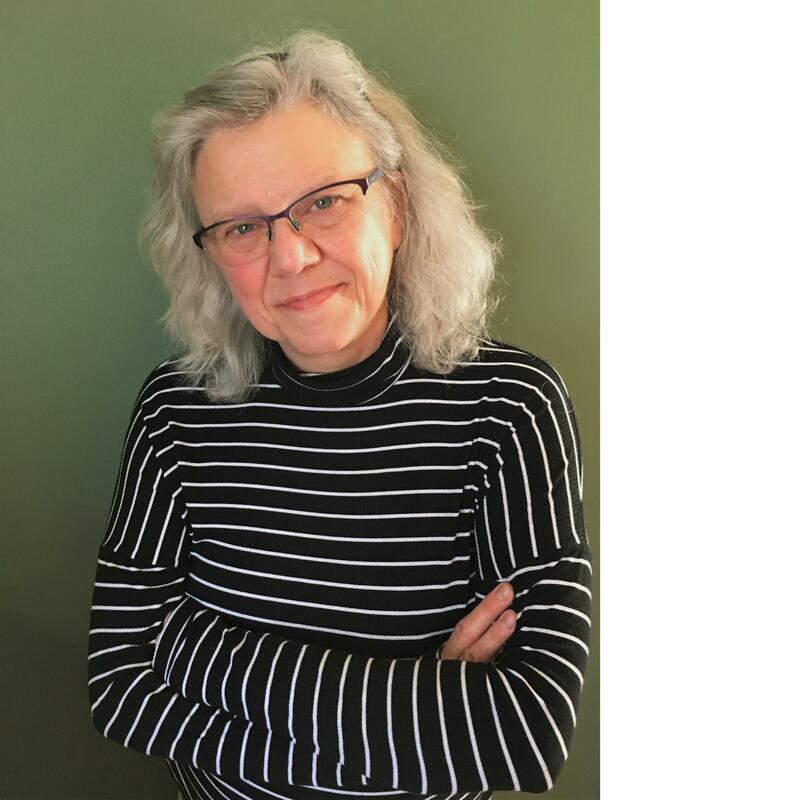 Because she was pregnant and had a 5-year-old, everything had to be safe for everyone, and Vicki applies that same level of responsibility to formulating for dogs. Vicki is a member of the American Herbalists Guild, Alliance of International Aromatherapists, and Women in the Pet Industry Network.